In recent court filings in the Eastern District Court of Virginia, an oversight resulted in mentions of secret charges being filed against Julian Assange. 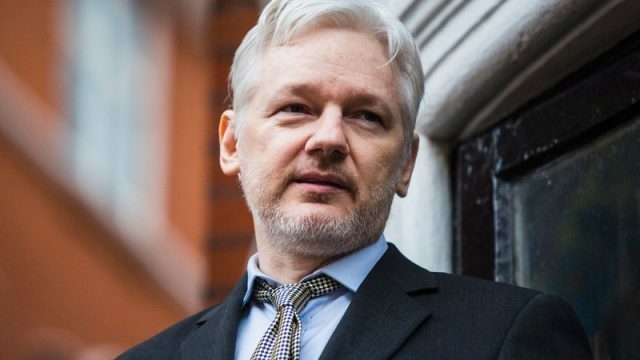 He is the founder and editor of WikiLeaks, an organization that has garnered a significant degree of fame and notoriety over the past decade, due to its publishing of numerous classified documents, communications and more. The organization has come under new legal scrutiny since the 2016 presidential election, during which it published emails, obtained by convicted Russian hackers, between members of the Democratic National Committee, a move widely believed to have influenced the election in favor of now-President Donald Trump at the behest of the Russian government. Currently, Assange resides at the Ecuadorian Embassy in London, where no legal jurisdiction outside of that of the Ecuadorian government can reach him. Beyond the issue of attempting to extradite him, concerns over the potential impairment of free speech and press protections have long kept the U.S. government, particularly under the Obama administration, from taking significant legal action against him. With this recent move by the Department of Justice, questions remain on implications for free speech and press protections, what aspects of the issue make it especially legally actionable and as to whether Assange and WikiLeaks even count as journalistic entities. David Leventhal, a former attorney who practiced civil and criminal law, current professor in the Business and Liberal Arts (BALA) program here at Queens College and host of Forward Nation Radio, a podcast about politics and current events, believes that intent and the nature of WikiLeaks’ association with the Russian hackers convicted of obtaining the e-mails may be the most significant factors in distinguishing the actions of WikiLeaks from those of news agencies, such as The New York Times, that have historically used leaked information for some published stories. “If it turns out that [WikiLeaks] were organizing, arranging and facilitating the criminal behavior…they are more likely to be subject to criminal charges than if they were just the recipient of that information,” he stated during an interview with The Knight News. Professor Leventhal finds that there should be greater concern for what a successful indictment of Assange may mean for leakers and whistleblowers. “The whole concept of freedom of the press and freedom of speech is that people should have information…and that frequently requires whistleblowers. And there’s no question that if there is a chilling effect on whistleblowers here, that would be of strong concern,” he expressed.